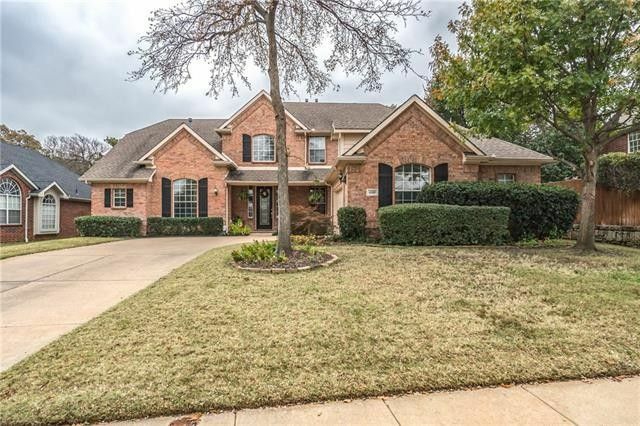 Stunning Bridlewood Golf Community home. Beautiful wood floors throughout entry and family room. Island kitchen features top of the line stainless steel appliances, tile backsplash, granite and built in wine fridge. Spacious master includes its own private study or TV room right outside the door. Ensuite includes his & hers vanities and garden tub.Three spacious bedrooms and a game room upstairs. Incredible covered patio with plenty of room to entertain.Patio features custom stone entertainment island complete with built in smoker grill, electric folding sunshade and stamped concrete. Newly installed carpet keeps this home move in ready!